I've been faithfully writing (beginning in 750words.com) on Required Projects and logging the results in my trusty spreadsheet. Some of those days are notes, but as Dame Eleanor says, notes do count. But the other day, a mad gleam came into my eye, and I declared to the cats that I was going rogue. "Going rogue" meant that, in response to a tantalizing CFP, I momentarily dropped the projects I've been slogging along on. Instead, I went looking at conference papers that I had never developed (why?) or published (again, why?). One was on a topic--let's call it Thing 1--somewhat related to another topic--let's call it Thing 2. I reread one of the books for Thing 1 and made notes on it. I skimmed articles I'd read and some new ones as well. 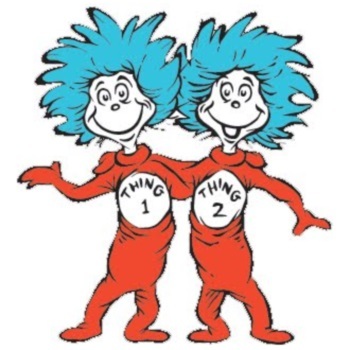 One whole day's writing was devoted to brainstorming about how I could develop Thing 1 and Thing 2. I forgot to eat lunch when I was working on the Things, and I barely wanted to eat dinner. This was exciting! This was what I liked about scholarship, which is what I had forgotten in the midst of the Required Projects slog. And I put off responding to a document because the people I'd be sending it don't always respond to my comments anyway, so what's the point? Anyway, I was still going rogue. After rereading both, I'm not sure that Thing 1 and Thing 2 will play well together, so maybe they'll need to be developed separately. But both of them are pretty decent in their rough stage. The day(s) of going rogue were some of the most fun days I've spent recently, and it all felt delightfully illicit. I'm back on Required Projects today, but I'll switch off again to Thing 1 or Thing 2 tomorrow. Now it's time for a game that I call up-up-up with a fish. Katy Waldman in Slate: Those olds sure are stupid. Also ridiculous. Also old. This is going to be short, and it ought to be tagged "I skim read it so you don't have to"or maybe "Tempest in a Teacup Thursday." Anyway, apparently David Denby at the New Yorker, channeling Sven Birkerts, wrote a lament for the decline of reading, roughly as follows: "Kids these days! They don't read, amirite?" Laments for the decline of reading are as old as literacy. Laments about kids these days are as old as human beings. Katy Waldman at Slate calls this "the get off my lawn" genre of writing, and she has a point, and a metaphor, and a cliche, all in one. I'm not saying she's wrong--she isn't--and after the obligatory snarky Twitter screenshots, she actually links to some statistics. And she's totally right about the laments being about the decline of (old, white, male) classics rather than (living women, people of color) contemporary novels or YA fiction. But she beats this "old people--stupid, clueless, and too bad they're not dead" cliche to death. "Geriatric Cassandra." Isn't Denby wrong enough without age entering into it? I get that this is Slate (I actually mistyped it Snake at first), the command central of snark. But can't she dismantle one stereotype without encouraging another? It's kind of like listening to 7-year-olds hit each other in the head and say, "I know you are, but what am I?" Because we all need a little writing inspiration now (you know you do), and you surely want to see what a literary scholar's writing house looks like (you know you do), here's Hershel Parker's beautiful writing studio in California back in the day. In case you don't know his name, he's a very famous Melville scholar; here's more from his Wikipedia page: https://en.wikipedia.org/wiki/Hershel_Parker. Here are all the pictures, at Parker's blog, of a house that is now a vacant lot, because California real estate prices, enough said. Or should we just say, "Forget it, Jake. It's Chinatown"? We should designate February the "Dream Big" month. We do this at the beginning of the school year, but maybe now would be a good time to think about this. How would you shake up your life or change, if you'd like to do that? Thinking about Google's self-driving cars: Can I give a self-driving car a driving test under actual conditions? Here's one, and it's not hypothetical or even uncommon: two-lane road, with a 4-foot shoulder and a 300' dropoff on your side, no guardrails. You see a set of headlights barrelling down the road in your lane. Okay, Google car, what do you do? Go. It's a link I can't find now (this one is close), but I'm surprised no one has written about corporations mining employee health data, including when women have birth-control pill prescriptions refilled, to predict in advance whether they're trying to get pregnant. "This would never be abused," the article piously stated, but in corporate thinking, knowing an employee is getting pregnant = about to tap into more medical benefits, leave policies, etc. What's to prevent this from being used against the employee in performance reviews and hiring decisions? Haven't we seen ample evidence that corporate interest is, to understate the case, not always aligned with the individual or public good? How happy would you be as a big donor to a college if your gift was going, not to students or faculty, but to the president's travel budget so that she can go to Davos and hire new administrators? Every day in February where there's no snow and ice is a gift, even if it's raining. If you get up and there's no snow, it's already a good day. I'm even seeing some delusional early daffodils coming up and am grateful. Those big splash panels demanding that you subscribe that now infest almost all web sites and that hold your phone hostage if you're trying to read there? I'm grateful to them, because I always click away--no article is ever worth it--and thus decrease my junk internet reading time. For excitement in real life, I got a Netgear WiFi Range extender and am looking forward, more or less, to installing it this weekend. I'm on the seventh day of a chain of writing at least something every day, regardless of how tired I am. 750words.com is again my salvation on this. It tasks me, it heaps me, and I see outrageous strength in it, sitting there waiting for me to do something every day. Enough's enough: knowing when to say "I'm done with this"
When you think you have FCS-taming down to a fine art, it suddenly locks you out, or won't permit changes, or otherwise balks. Then the FCS gods say, "Oh, didn't we tell you? You can't do it that way." Sometimes it doesn't load at all, and you contact the FCS gods, and they tell you variations of "You're doing it wrong"--must be the wrong browser, wrong time of day, poor connection, etc. It never is. And we continually get sudden, cheerful threat letters from the FCS gods: "X has to be done during the week of [insert inconvenient date] or else." The time spent on this part of my job has literally doubled since FCS was installed. I keep time logs of this, because I can't believe how much time it takes. This week and last have been devoted to servicing the FCS, to the exclusion of any writing and the barest minimum of class prep. Did I mention that at all the trainings I attended, I saw only women, and mostly support staff, involved? No male department heads, professors, or administrators. Did I mention that as an academic, my job description is publishing, teaching, and service, in that order, with the last-named now completely overwhelming the other two, thanks to FCS? Did I mention that I recently received a small university-wide honor for my scholarship and not my FCS-wrangling abilities? So I walked into the chair's office and said, "I'm done with this. No more FCS training. No New Procedure. I'm done." Ze agreed, wholeheartedly. *Edited to add: I've worked at clerical jobs and enjoyed them. But this job is not supposed to be one of them. Okay, campers, rise and shine, and don't forget your booties because it's COLD out there today! 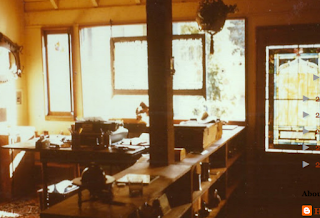 So remembering the "writing in the morning is best" mantra, you beat your head against the stone wall of a few paragraphs for several hours until they loosen up slightly. You do this over and over again. Eventually, your eyes are watering so much that you can't see the screen. You check your email, having turned it off as part of the "good writing demands concentration" mantra. You realize that a whole conversation is going on between a couple of your collaborators, who are never, ever off email, ever, and that they've been demanding answers from you for a couple of hours now. You look at the list of stuff you failed to do today and that you cannot do tomorrow because of being on campus. Fail, fail, fail. 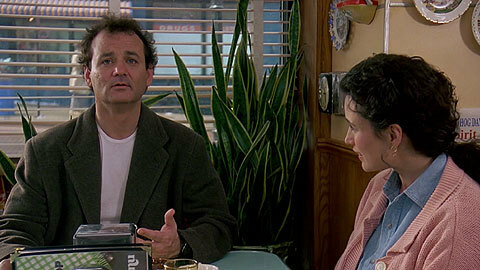 First, you can give up and watch Groundhog Day, since you can't see to write any more anyway. Second, you can take a lesson from the movie. 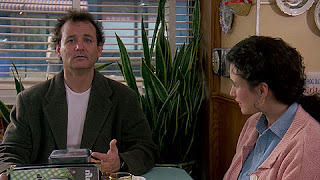 No, not this one, although it certainly feels true every February: "It's going to be cold, and it's going to be gray, and it's going to last you the rest of your life." It's this: if you make incremental change, even just a tiny bit every day, eventually you will get there.